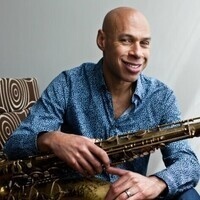 Legendary saxophonist Joshua Redman brings his Still Dreaming quartet to Cleveland this June. The group features trumpeter Ron Miles, bassist Scott Colley, and drummer Brian Blade, three of the most inventive artists in contemporary jazz. Together they pay homage to Old and New Dreams, a renowned quartet of Ornette Coleman alumni that included Redman’s father, Dewey Redman. With a repertoire consisting of Ornette Coleman compositions and original works, their music is honest, loose and engaging in its unpredictable live performance. The group's album, Still Dreaming, is set to be released May 25.